Dhyanyogi Omdasji has developed a unique systematic technique of BRAHMNAAD or Divine Sound Meditation. Brahma is the Sanskrit word means Cosmos and Nada means Sound. 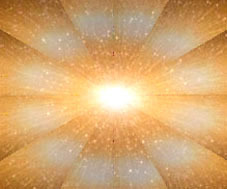 So Brahmanada is the Cosmic Sound, the primal vibration, the divine, ever present creative sound. It is the very core of spiritual practices. 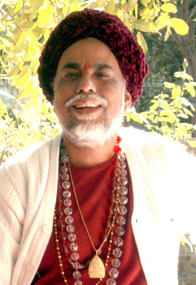 Dhyanyogi Omdasji is a self realized, ParamGuru of Kundalini Maha Yoga. His chief mission is to awaken the infinite source of energy lying dormant within the seeker. The cosmic grace of Shri Dhyanyogi Omdasji sees no worldly distinction of caste, class, culture, religion and region. The vibration of Divine Sound stimulates the nerve, plexus and endocrine glands of body and integrates body-mind-soul trinity. This leads to improved health and energy. It increases the physical and spiritual energy of the body. When the mind is absorbed in the BRAHMNAAD it seems to slow down and become peaceful. Most meditators report feelings of ecstasy, bliss and utmost peace when they meditate with the BRAHMNAAD. - Scream at others for no reason? - Falling sick all the time? How to meditate with “Divine Omdasji Sound Meditation"
- You will find yourself relaxing and perhaps fall asleep. If so let it happen. Play and refresh yourself with a 5 minutes sample of the Divine Omdasji Sound Meditation CD. Divine Conscouness is the Light of Reality & Source of Consciousness. It is the basis of Mind and Power and can be conceived by the human mind, thought, intelligence & by practising equilibrium and equipoise postures and spiritual practices. Guru Vasishtha perceived the Divine Consciousness by his inner fire of wisdom or JNANA-AGANI The fire of wisdom burns the illusion of material life. It removes AVIDYA or ignorance and leaves the knowledge of ultimate reality. GURU VASISTHA is one of the SAPTARISHI [seven great sages] and Raj Guru of Ikshwaku Dynasty. He was one of the most enlightened Gurus of his time and had complete mastery of knowledge of Self, Cosmos and God and is the composer of 7th Mandala of Rig Veda. GURU VASISTHA is also a Brahma Rishi (One who experienced oneness with BRAHMAN or Cosmos) and had taught KUNDALINI YOGA to SHREE RAM and other seekers . 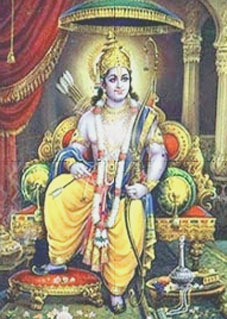 Shree Ram was the prince of Ayodhya and was embodiment of all noble merits. He was known as PURUSHOTTAMA (the best among the men). Shree Ram had Supreme Personality and unlimited virtues and he passed the knowledge of Kundalini Yoga to his ardent devotee Hanuman. 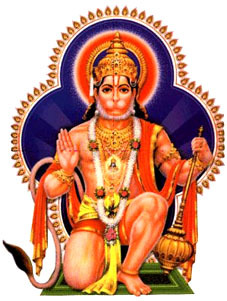 Shree Hanuman is an incarnation of Lord Shiva and is the ultimate devotee of Shree Ram. He is the monkey deity is renowned for his courage, power and faithful, selfless service and is worshipped as a symbol of physical strength, devotion and perseverance. Shree Hanuman is an epitome of Brahmcharya (abstinence) and is Chiranjeevi or immortal entity Lord Hanuman is the quintessential devotee of Shri Ram and he symbolizes the highest level of Bhakti (love), Jnana (knowledge), Vairagya (detachment) and Seva (service). 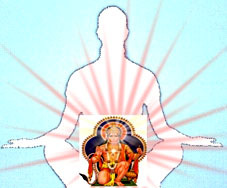 Dhyanyogu Parmeshwardasji is a mystical, immortal and a supreme yogi. He is divinely appointed; self realized yogi, who always radiates a perceptible glow and super fine vibrations of Cosmic Consciousness. Dhyanyogi Madhusudandasji was a Sampurna Siddha of the traditional Kundalini Maha Yoga. He was born in Bihar State, India in the winter of 1878 to Sampatti Devi Mishra and Ramdahin Mishra. He was named Kashinath after Lord Shiva. His family was pious and he learnt to worship from a very young age. While the other children played, Kashinath meditated. He ran away from home at the age of seven but was found and brought back and sent to school. Later, at the age of thirteen he ran away from home once again. Dhyanyogi Madhusudandasji travelled all over India for next thirty years and at the age of 27, Kashinath was given the spiritual name of Madhusudandas. He had great thirst for knowledge and mastered all types of yoga � Hatha, Raja, Jnana, Mantra, Tantra and Yantra. He practiced intense austerities but could not attain the highest goal of self realization as he had not found his Sadguru. In 1921, while he was practicing stringent austerities in a cave in Mt Abu, Rajasthan, his Guru Dhyanyogi Parameshwardasji came to him. Dhyanyogi Parameshwardasji was a great master of Kundalini yoga and he gave Madhusudandasji the Shaktipat of Kundalini Yoga. Madhusudandasji went into Samadhi and attained the exalted state he had yearned for. When he opened his eyes three days later, he saw his Guru seated before him in the form of Lord Hanuman. Lord Hanuman, the quintessential devotee of Shri Ramaembodies the highest level of bhakti (love), jnana (knowledge), vairagya (detachment) and seva (service). These qualities of Lord Hanuman became the hallmark of Dhyanyogi Madhusudandasji. Dhyanyogi Parameshwardasji conferred his blessings on Madhusudandasji by giving him his personal title of �Dhyanyogi�.Dhyan means meditation and Yogi is one who unites self with God. The Guru answered numerous questions posed by Madhusudandasji and blessed him with power and knowledge. He told Dhyanyogi Madhusudandasji to travel and help the thirsting devotees with spiritual knowledge and Shaktipat. Dhyanyogi Madhusudandasji was now ready for his life quest. Dhyanyogi Madhusudandasji brought the Kundalini Yoga & Shaktipat to the masses in India and West.
] On 14 th July 1992 on occasion of Guru Purnima celebrations, he anointed Omdasji as his Gadipati and successor at the Hansol Ashram in Ahmadabad, Gujarat (India). He declared that he had selected his spiritually most powerful, devoted and worthy disciple as his successor. Dhyanyogi Madhusudandasji left his body on 29th August 1994 on the holy day of Gokulashtami at the age of 116. 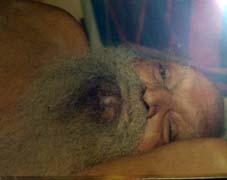 His final rites were performed as per his instructions to Omdasji. All Vedic traditions were followed during the final ceremonies. A huge crowd of saints, disciples and devotees and representative from political parties bid farewell to a beloved Yogi and Guru, Dhyanyogi Madhusudandasji. The awe and respect that Dhyanyogi Madhusudandasji commanded from all is comparable to the respect commanded by a select few divine personalities who have walked the surface of the earth. Dhyanyogi Omdasji is the third in line of the Illustrious Gurus of Kundalini Maha Yoga. 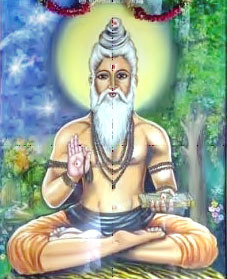 Dhyanyogi Omdasji was born into the Path of Yoga. His paternal and maternal relatives were great siddhas and yogis. Dhyanyogi Omdasji was born in 1961 (in Bihar) and is the second son of a wealthy brahmin family from the State of Bihar, India. His parents were Pandit Ratneshwar Jha and Shrimati Kaladevi. He was named Bhavendranath. He is well known in the sadhu and saint community in India for he lived with them during his childhood and is connected with them now too. Before reaching the age of twenty, he was instrumental in conducting the Kumbh Mela in Allahabad and was the head of several Mutts. On 14th July 1992, on the occasion of Guru Purnima celebrations, Dhyanyogi Madhusudandasji anointed him as his Gadipati of the ashram (i.e. Shri. Madhusudan Dhyan Yoga Niketan) and bestowed on him the title of 'DHYANYOGI'. He achieved the self realized state and his life mission is to end the suffering of masses and also help them in achieving the ultimate goal of life - self realization. 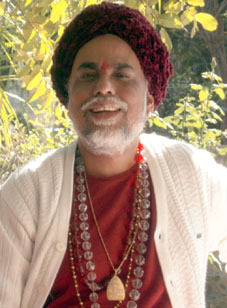 Dhyanyogi Omdasji is the PARAMGURU of Kundalini Maha Yoga lineage. 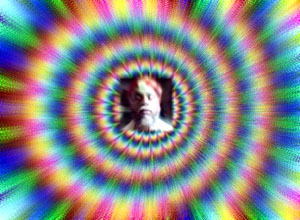 He has the divine power of Shaktipat which awakens the dormant Kundalini Shakti. He is highly interested in education and specially the education of the girl child and women empowerment and good health through the ancient systems of Ayurveda and right living. He is the Patron of several International Journals (http://www.ijbst.org/Home/patrons) He believes in sharing of the gifts of food with the destitute and very poor. Dhyanyogi Omdasji, is a renowned yogi and siddha has performed intense tapas for many decades and has done meditation on Sound or Brahmnaad. Having the siddhi of sound, the perfection of the vibration energy within him seems to connect to the meditating listeners. The basic principle of energy states that energy can neither be created nor destroyed but transferred from one form to another. The vibration energy of Dhyanyogi Omdasji singing the Divine Sounds transfers from himself to the meditating listener through acoustic medium. Dhyanyogi Omdasji knows the power and effect of the Divine Sound - Divine Brahmnaad on the human systems. He has been singing regularly at various gatherings in different parts of the world over the last many years. He has seen the positive healing and spiritual effects of the Divine Sound. In past, Dhyanyogi Omdasji had visited San Francisco- U.S.A regularly and has sung to a cross section of the population there. People from all walks of life have been benefiting from the Divine Sounds. In recognition of his efforts and the benefit that the people of city and county of San Francisco have received, the Board of Supervisors of City and Council of San Francisco has awarded him a �Certificate of Honor� for outstanding public services. Copyright � 2013 Divine Brahmnaad. All rights reserved.